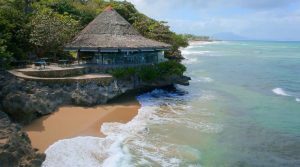 Sea Horse Ranch resort is located beachfront along the Atlantic Ocean, in Cabarete on the North Coast of the Dominican Republic. 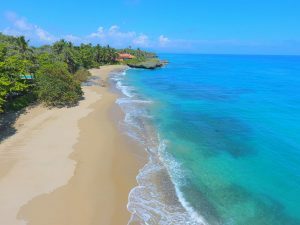 There are several stretches of sandy beaches suitable for long walks and swimming, surrounded by rocky cliffs, and wooded tropical forest areas. The Beach Club at Sea Horse Ranch offers a spectacular panoramic ocean view, casual, elegant decor and a fresh menu serving breakfast, lunch and dinner. Of particular note, there is a live music series with a variety of international artists performing regularly. The menu is as varied as the multi-national owners, Anahid & Vatche Avakian. These two gourmands are from Montreal, Canada, a city well known for its restaurants. 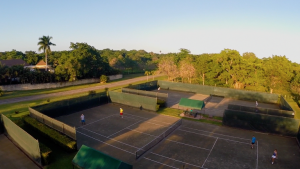 The Sea Horse Ranch Tennis Club features a Pro Shop, five clay courts, and private lessons for adults and children. Two courts are equipped with lighting for night play. This is by far the best place to play tennis on the North Coast and access to the courts is open to the general public. Many long term residents are able to join the Tennis Academy and sign up for ongoing group lessons. Ride horses on the beautiful beaches of the Caribbean. 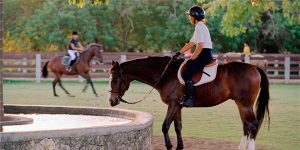 The Equestrian Center at Sea Horse Ranch is a full-service facility offering organized tours on over seven miles of trails along pristine beaches and into tropical forests – the best of both worlds. Private lessons are available for advanced riders and novice alike. With 25 stalls, our stable boards paso finos, quarter horses and thoroughbreds as well as ponies children. If you’re interested in riding horses in the Dominican Republic, Sea Horse Ranch is the place. 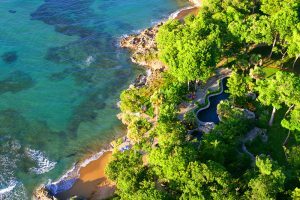 The El Bosque area encompasses Sea Horse Ranchs’ best amenities, an ocean front park with three secluded private beach coves, two split-level ocean front pools and our ocean front restaurant. It is the perfect location for those who will spend most of their day at the beach and seaside pools. The two pools (one shallow for kids) are designed with a natural aesthetic that blends with the inherent beauty of the El Bosque nature reserve which features more than 15 different tree species and is home to an abundance of herrings, gulls and marine crustaceans more commonly known as hermit crabs. Sea Horse Ranch is proud to announce that our very own organic garden, Villa Orgánica, is now certified USDA Organic. 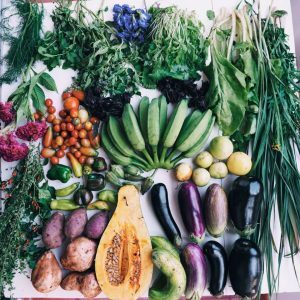 Sea Horse Ranch began collaborating with gardener extraordinaire Carlos Juan Rodriguez, and well-known Dominican artist and environmentalist Garcia Cordero in 2016 to create an organic garden. In our quest to create Mother Earth magic in our little corner of the world, we have achieved an important goal in becoming USDA certified organic.